This is really a Weekend Rewind: Part II because on Friday night I was home alone, and you know what that usually means… I move furniture. I can’t just sit still and watch movies and relax! I have to do something productive. Or maybe I should say “productive” since this didn’t really accomplish a whole lot except to give me a backache from the aforementioned moving of furniture. So what do you think? I like the new look, especially the turquoise rug in the dining room since it matches the pendant lamp. Julio thinks the looks are too summery and wants to go back to the homey oriental rugs. Chime in below! Persian carpets are works of art….if you are tired of them, you can send them my way, mine were stolen! Ha, I can only imagine the shipping costs on that! I like Persian rugs, but I feel like I’m not cool enough to pull them off yet. Hopefully it’ll come with age. In the family room, I like the oriental. With the red patterned pillows on the couch. Love the Coca Cola cooler against the wall and the table top lamp is GORG! 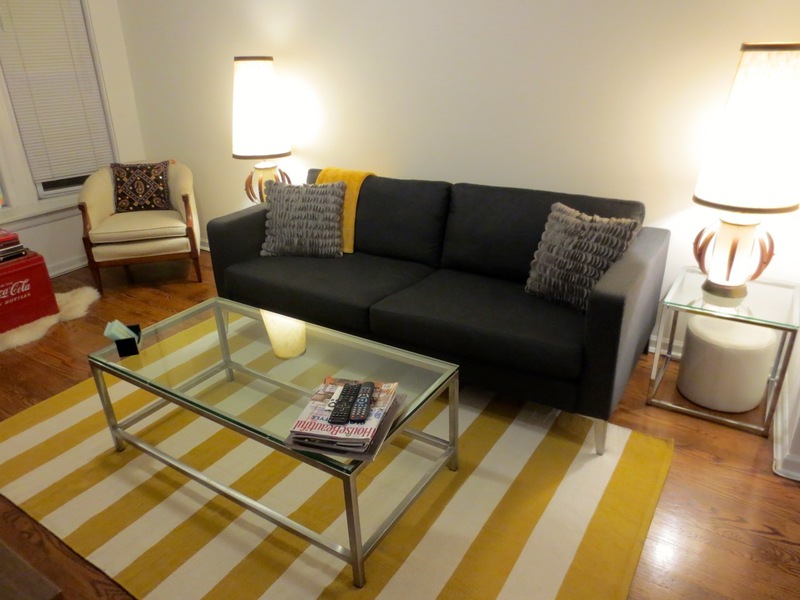 Adore the yellow stripe in the living room! 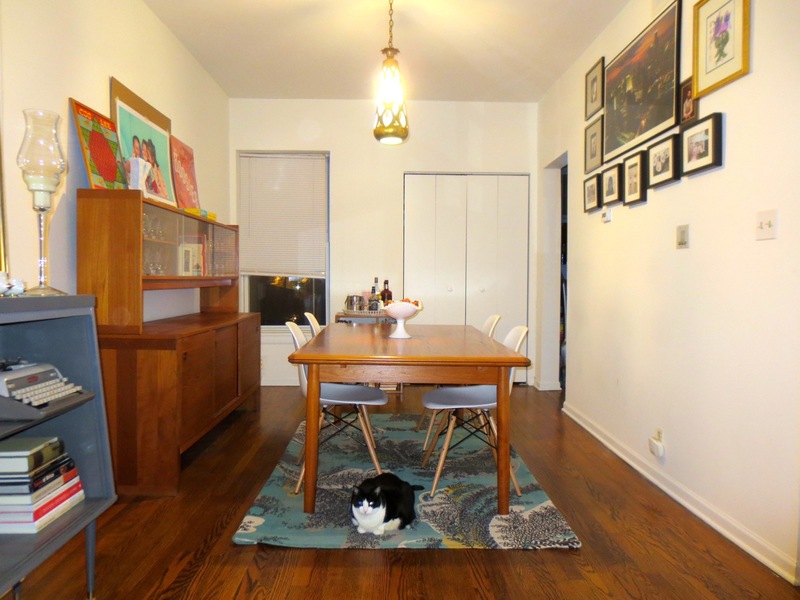 I also love the dining room rug but wish it was bigger…. It does need to be bigger, doesn’t it? This is an old rug, and it’s not in the greatest shape anymore, so I was really just testing it out for color. I’ll definitely think bigger if I start to look to buy. Thanks for your feedback! I love the colors in both- it definitely looks more like you. I agree that the one in the dining room should be larger but other than that – they’re both great.